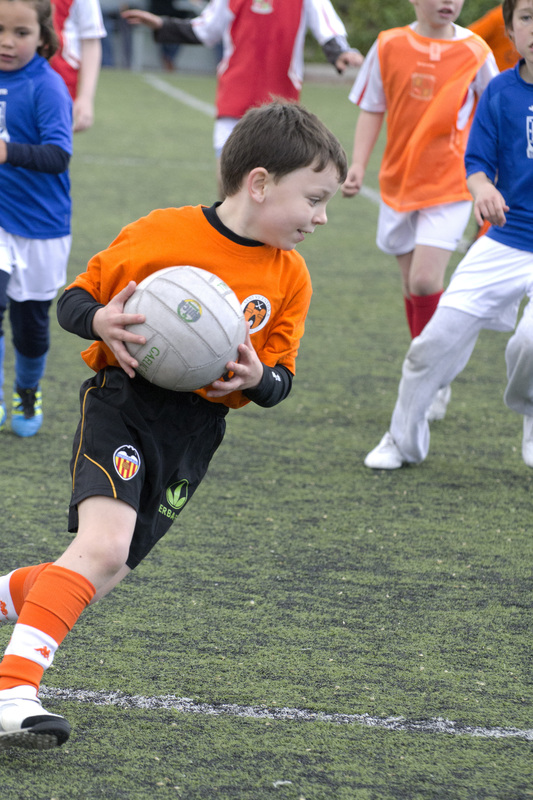 In the first ever official game of Gaelic football to be played at the under-12 level in Spain, the youngsters of Valencia had a fantastic first outing. A cold, windy day greeted the travelling team in Madrid, but unaffected the Cúl Kids chased every ball and worked extremely hard all game long and forced a number of saves from the Madrid keeper. The development made by the junior players was evident on both sides and a great amount of credit must be given to them and their coaches. As per GAA guidelines, official scores were not kept during the game, but with the focus on fun, development and participation it is clear that the event was a success. On the women’s side of the senior draw, things got off to a good enough start with a 2-6 to 0-3 win over the Barcelona Gaelettes. Niamh Flynn continued her incredible scoring record with both goals along with four points, while Carrie Lynch bagged the other two points. Super-portera, Laura Sahuquillo kept Barcelona at bay the whole game, allowing just three points over the 25 minutes. The game also represented the opportunity for extended playing time for some of the newer Valencia players, and all of them carried out their duties to aplomb – probably the most positive aspect of this is that many of these players are non-Irish and/or are completely new to the game; Diana Bedoya (Colombia), Veronica Belarte (Spain), Jana Santiago (Spain), Carolina Jimenez (Argentina), Sinead Fowley. In the second group game, Valencia were in tough against a strong Madrid O’Donnells team who produced a number of scoring opportunities and ran-out 5-4 to 1-4 winners. By finishing second in the group, Valencia had to face the winners of the other group which came in the familiar form of Seville. 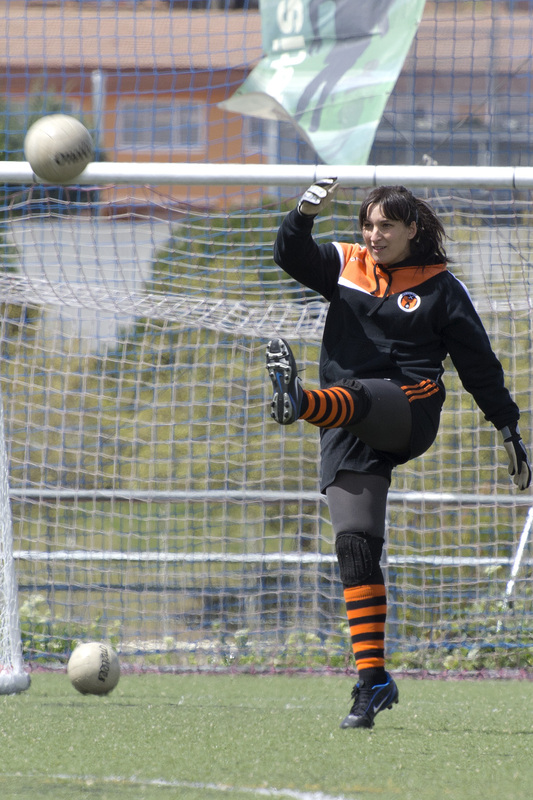 Despite scoring the game’s only goal, the Valencia ladies couldn’t quite get by a bigger and more physical Seville side who took the decision by four points: 0-9 to 1-2. Due to the group stage win, O’Donnells took third spot leaving Valencia in fourth on the day. Although there is definite disappointment within the Sant Vicent camp, there is also a great deal of hope and expectation going into the home round in May. In the final, Madrid Harps would reverse the group game outcome in beating Seville (3-12 to 2-5) and thus taking a firm grip on the Iberian standings. In the men’s competition, a slow start against Barcelona could have been costly, but a final 5-minute flurry of points brought Valencia back from the brink for a 0-3 to 0-6 victory. Vital in the come-back was KJ Wallace who kicked three points, while player-coach Paul Murphy marked his return to competition with a point of his own. A bizarre start to the O’Donnells game somewhat summed up Sant Vicent’s day: on almost the first attack of the game, a Madrid foul resulted in a Valencia penalty. Freddy Nadal stepped up and duly had his penalty saved well by the O’Donnell keeper resulting in a 45m. Valencia keeper Andy Pilkington pushed forward to attempt the 45 with a strong tailwind but pushed the effort just wide. However, a Madrid touch meant a repeat effort for Pilkington, who this time was able to get the ball up into the wind enough to see it sail over for the game’s opening point; deserved by Valencia, if not a little unorthodox. From that point, Sant Vicent controlled the game, but never looked totally comfortable, in fact it was a slice of misfortunate on Madrid’s part that ultimately put the game firmly in Valencia’s favour. As a long clearance bounced through the Madrid defence, the goalkeeper advanced, but a touch by a defender in the confusion caused the ball to shoot past him and into the empty net. Freddy would make amends by slotting a goal in the second half to wrap things up, but it was a far from dominant performance. The first place group finish put Valencia against the host Madrid Harps in the cross-over semi-final and from the get-go the home team dominated, leaving the Sant Vicent boys in their wake. The normally reliable Pilkington was unable to locate his targets on kick-outs while breaking ball after breaking ball was cleaned up by red-shirted Madrid players. The resulting possession and on-rush of Harps players in attack left the Valencia defence out-gunned on multiple occasions and Madrid took full advantage netting twice, before Valencia even had a solid attack. The rest of the match played out as a lesson in ball-retention from Madrid who greatly deserved their place in the final, while Sant Vicent were left to ponder the next step ahead of the home round on May 19th. Without doubt the ability and potential is there, as at times the lads have shown. What seems to have been lacking though is the all-important consistency to primarily succeed in any given tournament and then push on in the overall championship. 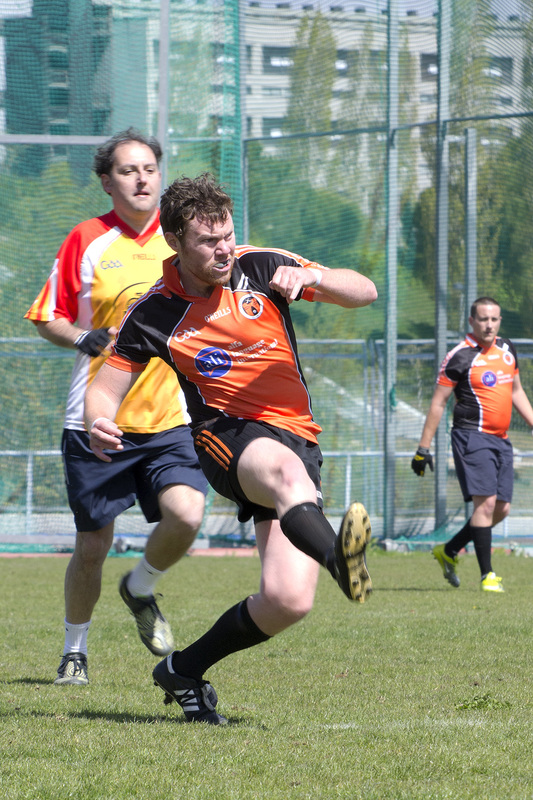 In a repeat of the round 1 final in Seville, Madrid took on the Eire Og Seville boys, but again it was the away team who took the spoils, with Seville capping an unbeaten day to lift their first ever Iberian tournament trophy.